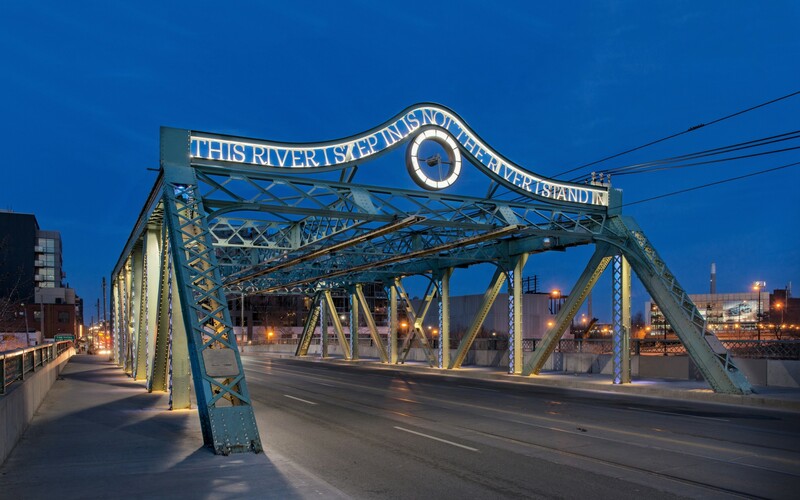 Toronto's Riverside Bridge was built in 1911 and revitalized in 2006 with artwork by Eldon Garnet. 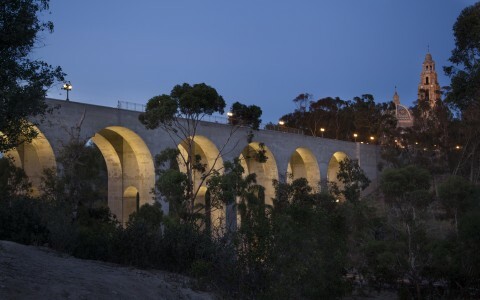 To light the bridge, Mulvey & Banani Lighting used Lumenbeam Small and Medium luminaires, with different distributions. 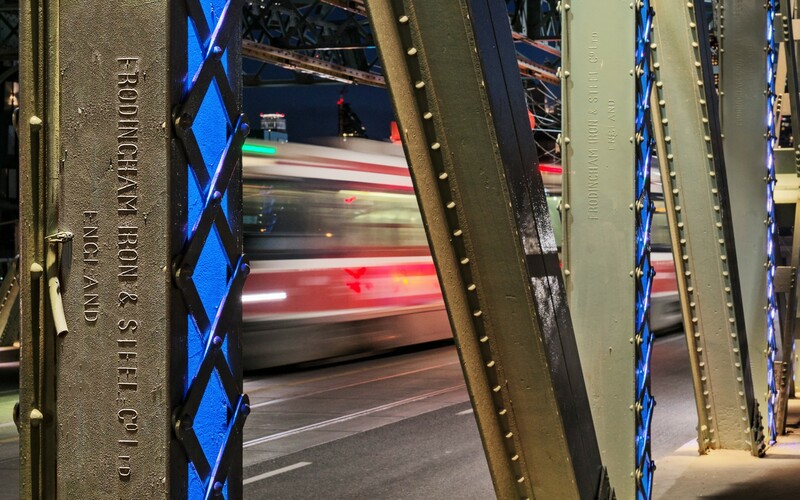 Color was used in a subtle way on the bridge’s vertical posts, which colors changing to match events in the city. To avoid damaging the heritage structure, the luminaires were clamped to the bridge from above with custom mounting brackets. 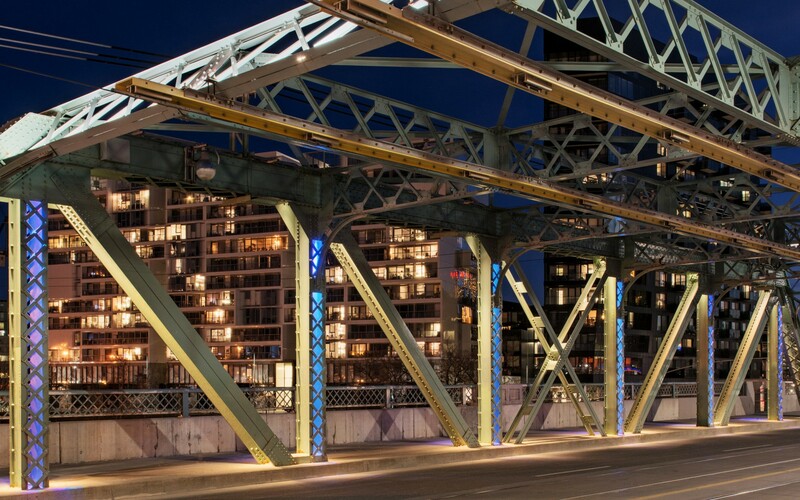 Mulvey & Banani Lighting used Lumenbeam RGBA luminaires to create a dynamic, color changing lighting system at the Riverside Bridge in Toronto, highlighting the iconic structure's architecture and art. 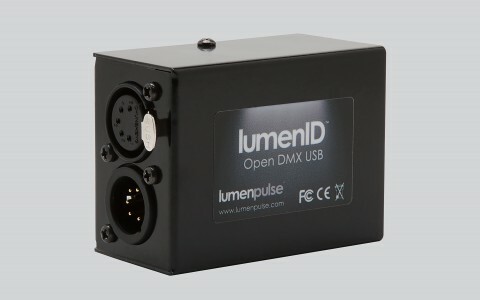 It was nice to be able to use a Small and a Medium version with different optics, and to have it all connected within the one system, without having to go to different manufacturers for different applications. 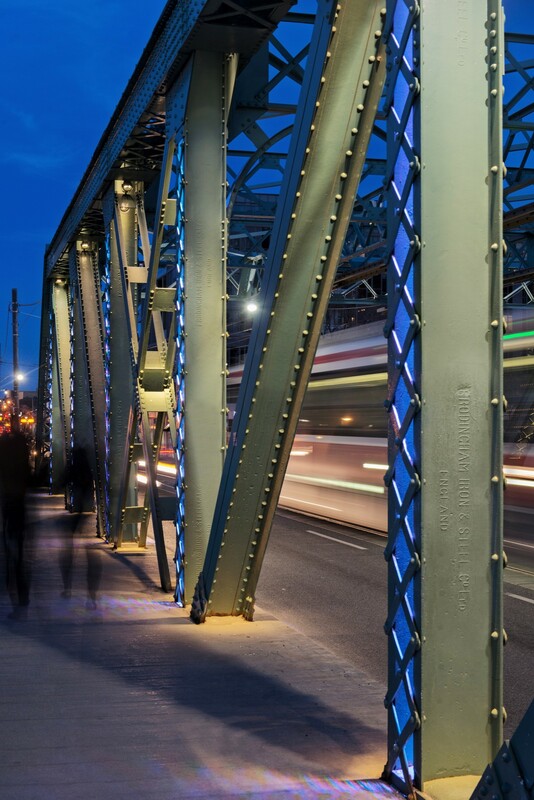 Built in 1911, Riverside Bridge links downtown Toronto to the Riverside neighborhood on the East side of the city, accommodating cars, streetcars, pedestrians and cyclists. 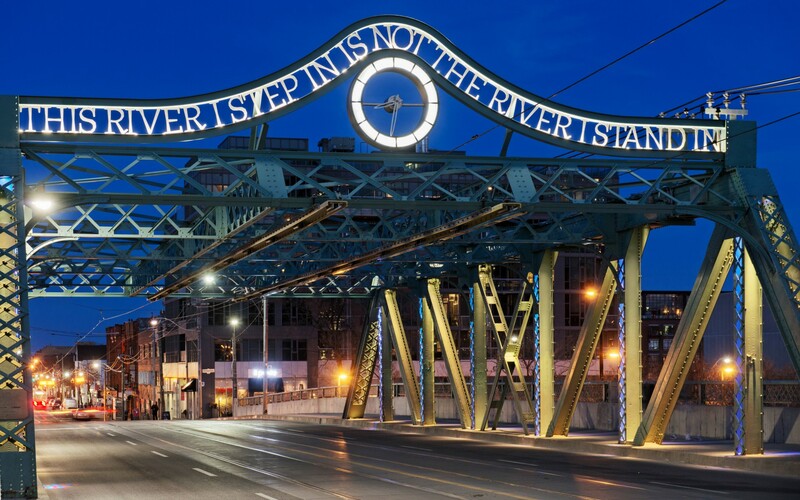 In 1996, artist Eldon Garnet was commissioned to produce an art installation called ‘Time: and a Clock,' which includes the inscription "This river I step in is not the river I stand in." 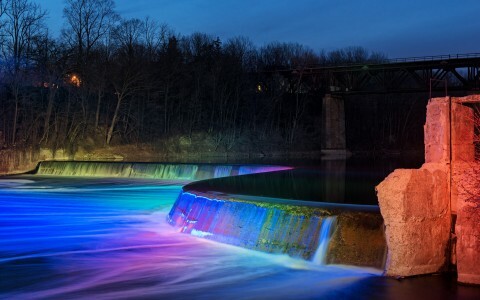 To highlight Garnet's work and the historic bridge at night, the Riverside District Business Improvement Area (BIA) called on lighting design firm Mulvey & Banani Lighting. 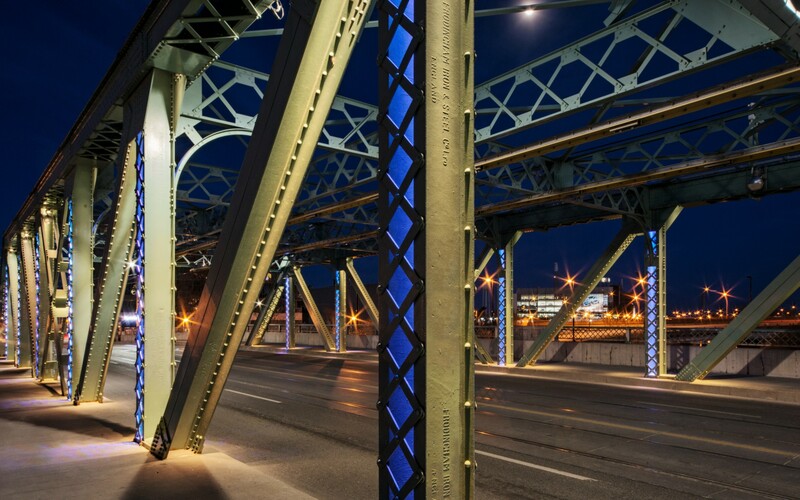 "They wanted to light the entire structure, but still keeping the public art component a primary element," says Paul Boken, Vice President at Mulvey & Banani Lighting. "The goal then was to highlight the architectural form, to reinforce its design, but in a respectable way so that it wasn't distracting from the art." Mulvey & Banani Lighting opted for Custom RGBA Lumenbeam Small and Lumenbeam Medium luminaires. RGBA is an enhancement on RGB that broadens the color palette, creating warmer, richer shades of white, gold, and amber. "We determined that we wanted to use shades of color that were specific to the traditional branding of the Riverside District, like warm amber for instance, which is a beautiful color to use in contrast to white. But to be able to get that warm amber and a really nice white, you have to use RGBA," says Paul Boken, Vice president at Mulvey & Banani Lighting. 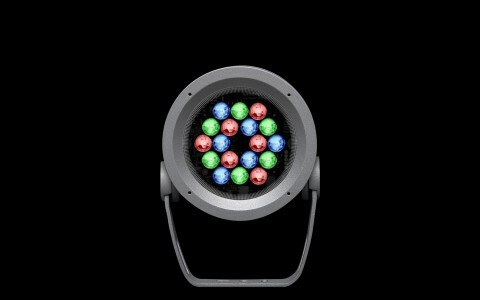 Fully programmable, the luminaires provide the ability to commemorate holidays or special events. "They were conscious not to overdo color changing, using it only when they had a story behind it. 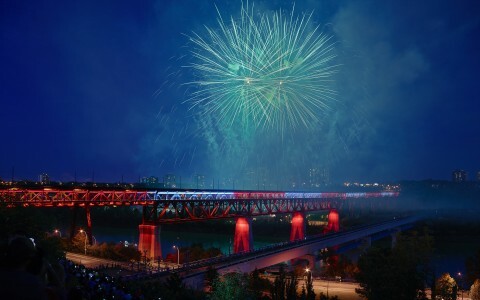 So we used color in a subtle way on the bridge's vertical posts, which change color to match events in the city, but are not necessarily on a color cycle," he says. To avoid damaging the heritage structure, the luminaires are clamped to the bridge from above with custom mounting brackets. "Having small enough fixtures to fit into those structural elements was a huge driving factor because we didn't have a lot of space to play with, and it required a lot of output. The Lumenbeam Small is the only luminaire that could provide the amount of foot candles needed and still fit in the structure," says Boken. "We used different distributions at different points of the bridge," he says. 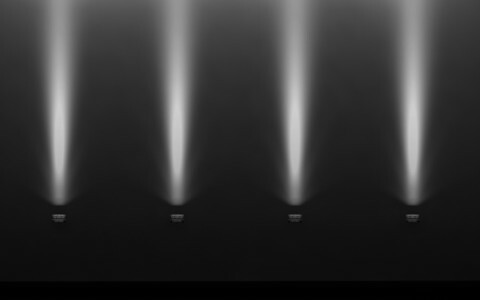 "In some cases, we had space for the Lumenbeam Medium, but in other places, we had to light horizontal and we had to tack the fixtures inside to hide them, so we used the Lumenbeam Small. 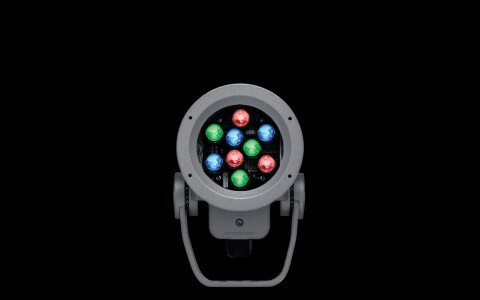 It was nice to be able to use a Small and a Medium version of the same luminaire with different optics, and to have it all connected within the one system, without having to go to different manufacturers," he says. "Everybody on the team was super happy with the way it turned out," says Boken. 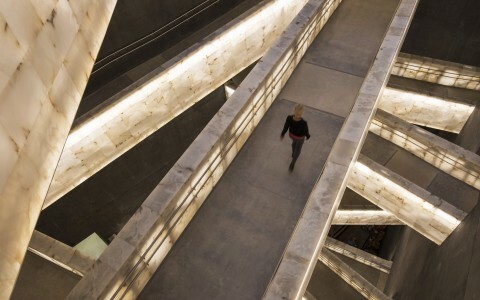 "The lighting design is bright enough to see from the highway below, but the art piece still takes precedence. The reaction has been great."